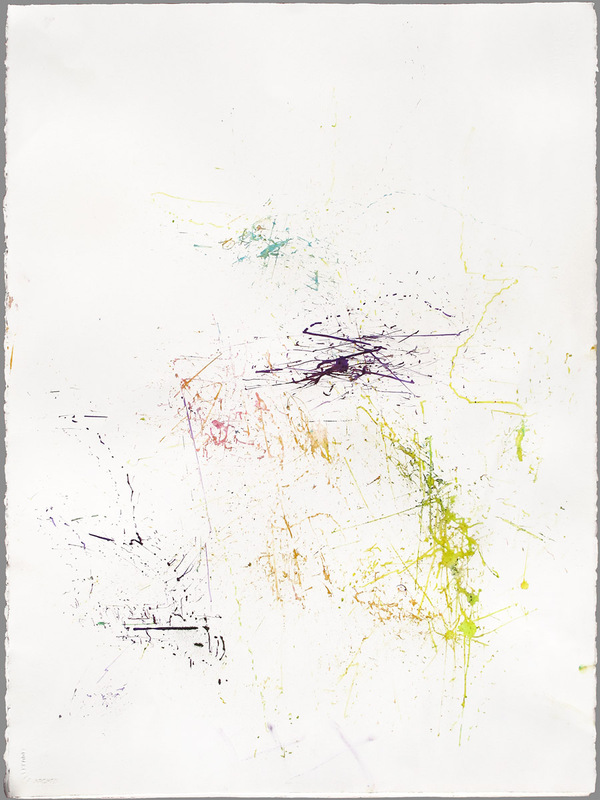 The Al-Faisal Series, (2011/2012), is a succession of watercolor paintings on A2 size heavy Arches hot-press watercolour paper made in collaboration with a desert darkling beetle (Blaps gigas). 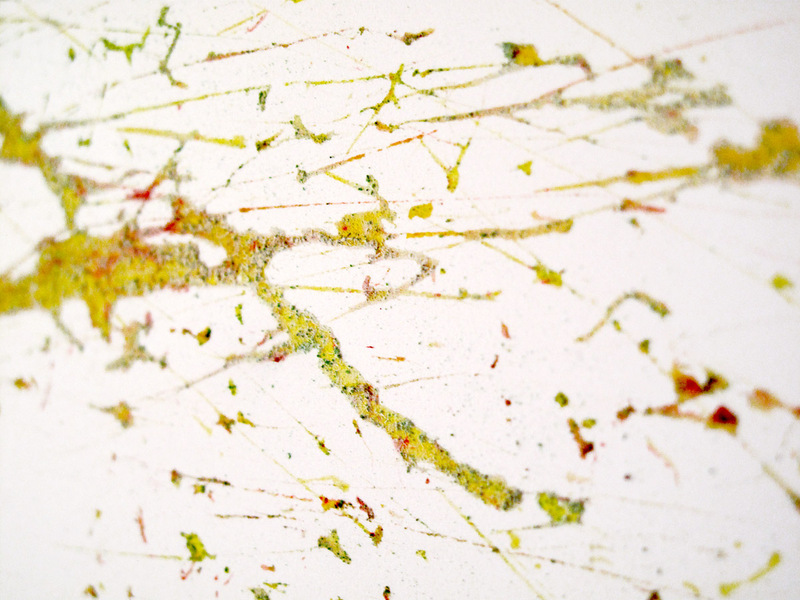 The performance of creating these action paintings is a partnership and I have occasionally involved other artists to collaborate in the process. 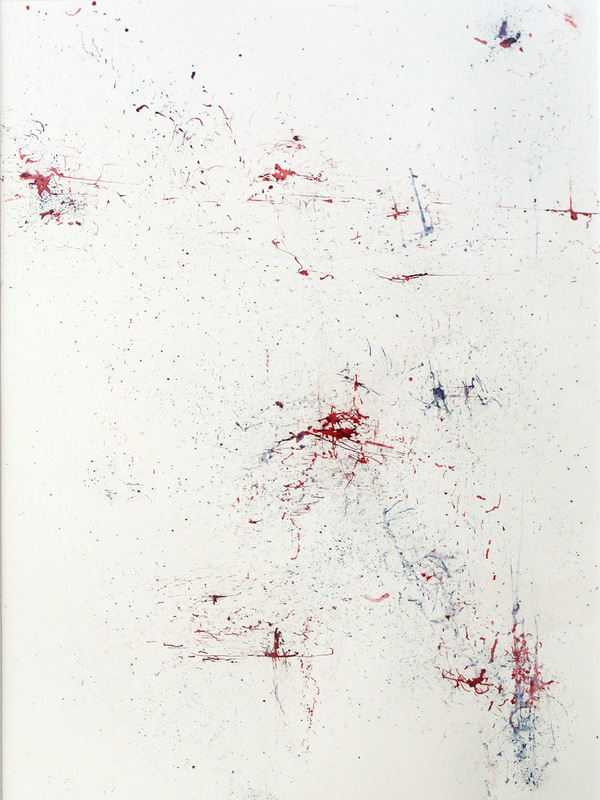 The paintings are inspired by the concepts of metamorphosis, mutation, and degeneration as a natural precursor to evolution and are made using natural dry pigments sourced from a Moroccan spice market. Notable amongst the pigments is the cochineal, which is produced from another insect (Dactylopius coccus). This deep crimson colour was used by the British to create their Red Coats and is the same red used to dye the original American Flag. 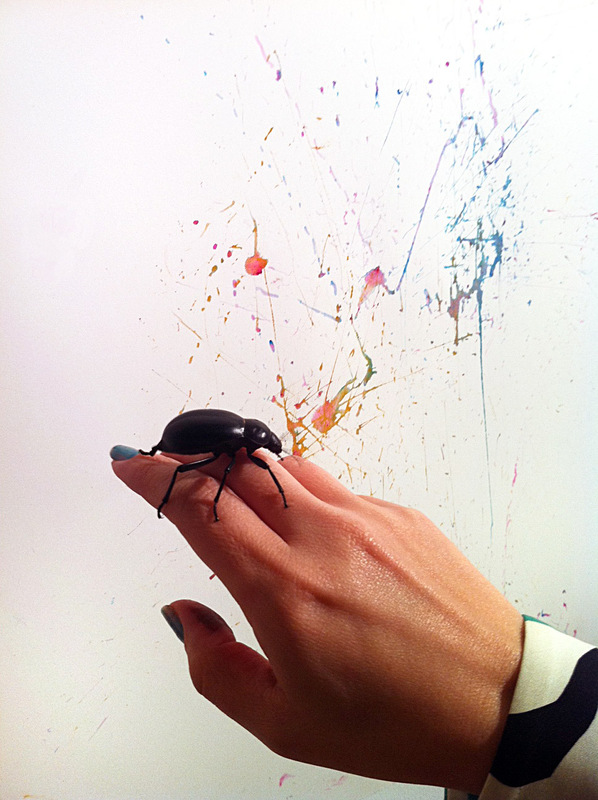 In the linked video the beetle, named Al-Faisal, can be seen at work. Artistic activity is usually seen as a wholly human endeavor which sets us apart from the non-human animals and so this interspecies collaboration challenges our anthropocentric perspective of the world by placing human perception on par with other animals.